I thought it would be fun to rehash the top ten posts for the last year. It is kind of interesting to see what people find interesting on this blog, I think. I can’t believe how many people found this post by searching for reviews on that book! It is still one of my favorite parenting books. You can now buy it by clicking on a link in that post (added recently). A few ideas for moms of toddlers to keep them from getting bored. Sadly, I never quite reached my goal with this one. Next time I do a contest, I’m not going to have any qualifications like “If I reach X subscriptions”. Either that, or I’ll have better give-away options. In fact, I would like to do some give-aways this coming year. This was one of my craziest Mondays and really good for a laugh once in a while. I highly recommend that if feel discouraged right now that you go read this. The “misery loves company” and “I’m glad it’s not me” factors should combine to cheer you right up! I have gotten a lot of views from people searching for this very thing. As one comment says, it is THE BEST recipe out there. At least, in my and the commenter’s opinion. I really should make them more often. I am amazed at how more and more people are turning to soy milk for better health. This step-by-step how-to with pictures has been pretty popular and a lot of people have found it in search engines. One lady even tried it and blogged about her results! This is the technique I use every time I decide I need to can some beans. I really love having beans ready to eat in a pinch that don’t come from a tin can. They also have a really nice flavor this way. And it’s really not that much work, considering you get about 14 cans’ worth! Yet another how-to post–one of my first. I have actually stopped making tofu in the last few weeks, though I may start up again sometime. This would have to be my top most-recent post. And yes, I promise to finish soon and take pictures. I will post something by Thursday at the latest! My favorite way of using this delicious stuff. Yummy! So there you have it, my Top 10 posts for 2010. I will have to do this again next year! It was fun! 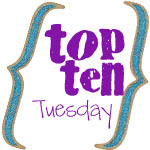 So if you blog, what were your Top 10 posts? Please share in the comments!